Covering all Ipswich Directory Areas. 24 Hour call out service to unblock Drains, Manholes, Toilets, Gullies, Downpipes, Sinks and Baths, domestic or industrial. Using a high pressure water pumps upto 4000 psi. No job to big or to small call our team out for a fast, professional response we have over 40 year's experience in clearing all types of blockages. We can also carry out CCTV of your drains if you have persist problems or require a report for either buying or selling houses. These come with a full report. 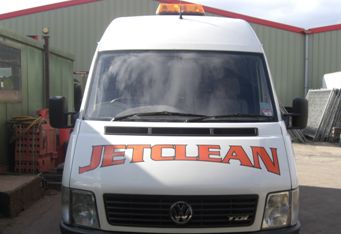 If we do investigations or encounter problems with any drains we jet we can also offer free estimate to carry out any remedial works needed from NJB Contractors. We also offer patio, paved driveway, concrete driveway and hand standings cleaning using our jet machines.